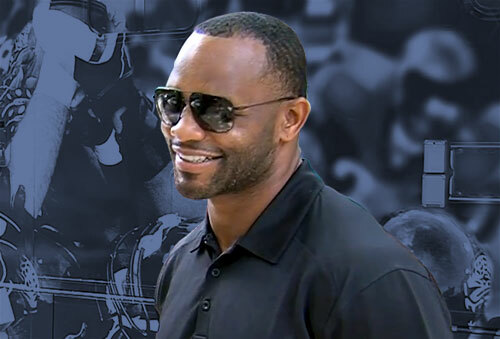 Fred Taylor is a form NFL running back who played for the Jacksonville Jaguars from 1998–2008 and the New England Patriots from 2009–2010. Taylor played college football for the University of Florida from 1994 to 1997 and was named Third-team All-American for 1997, First-team All-SEC in 1997 plus he was three-time SEC champion for 1994, 1995 and 1996 as well as Third-team All-American for 1997. In his pro career Taylor was a Pro Bowl selection for 2007 as well as Second-team All-Pro for 2007. Taylor earned 11,695 rushing yards during his thirteen-season NFL career plus he is a member of the University of Florida Athletic Hall of Fame. Sports Speakers 360 is a booking agent for pro athletes. If you would like to book Fred Taylor for a speaking engagement, appearance or endorsement, contact a Fred Taylor booking agent for fees at 1.855.303.5450.